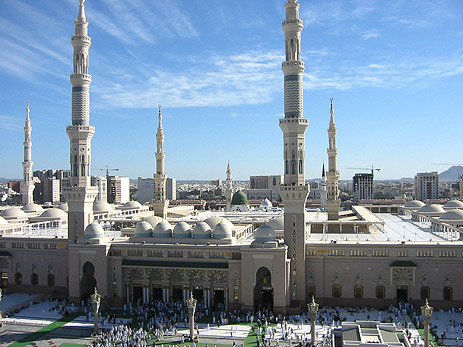 The Prophet’s Mosque is located in Medina, Saudi Arabia, another major holy city for Muslims. Parts of the original mosque structure date back to the Prophet Mohammed’s time (d. 632 CE). He was buried there upon his death. 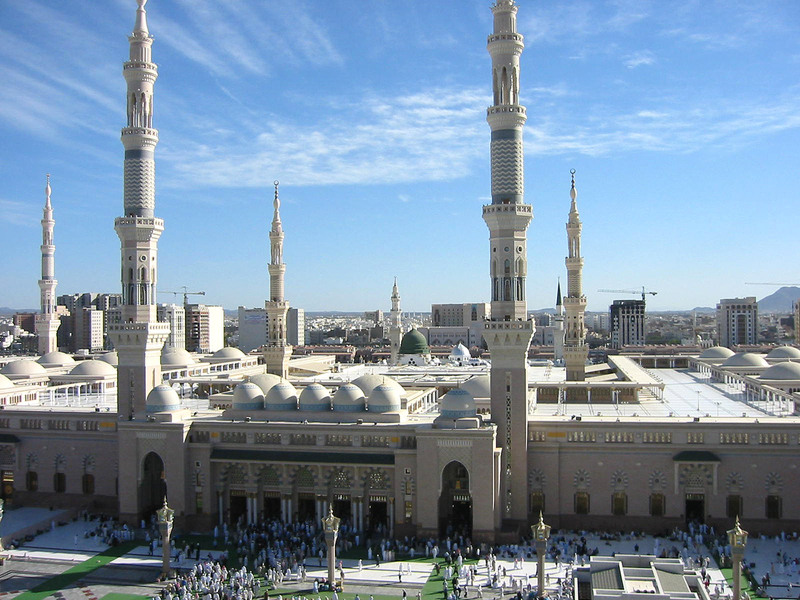 Medina was a special city to the Prophet and his early followers, as they sought refuge there from persecution in Mecca when Mohammad began preaching his revelations. This move from Mecca to Medina is called the Hijra—the emigration—and marks the beginning of the Muslim calendar (622 CE=1 AH). License: Creative Commons Attribution ShareAlike 2.5 (accessed August 17, 2009).